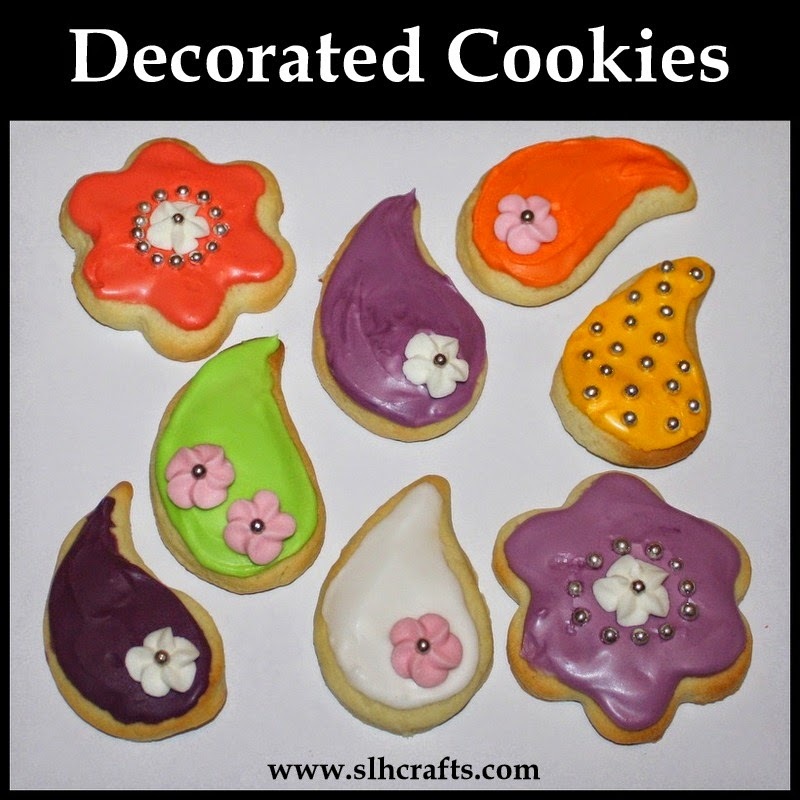 I have been busy making some yummy sugar cookies and decorated them in my own designs. Here is my recipe for these delicious cookies. Step 3: In a separate bowl add the baking powder, flour and salt. Step 4: Add your mixed dry ingredients into the butter mix and mix until forming a dough. Step 5: Make the dough into a ball and cover and leave in the fridge for about an hour. Step 6: Remove from fridge and place dough out onto floured table and roll out until about half a centimetre. Step 7: Cut out your shapes with the cookie cutters and place onto a baking tray. Step 8: Bake in the oven for about 10 minutes until slightly golden. Step 9: Remove from oven and place onto a cooling rack. Step 10: Make the icing sugar following the instructions on the packet. Add the Food colouring to some to make different coloured icing. Then decorate your cookies.